By day, rookie lawyer Nicole Farmer runs a struggling solo practice in the tough town of Amistad, Connecticut. But Nicole hides a terrifying secret: by night, unquiet spirits call to her on the dream plane, seeking revenge and healing. Nicole takes on these special cases pro bono, despite the toll they take on her life and career. When Lizzie, the spirit of a young woman, demands an audience, Nicole answers her call and takes her supernatural case. Now, Nicole must stop a killer bent on striking again in her daily world. 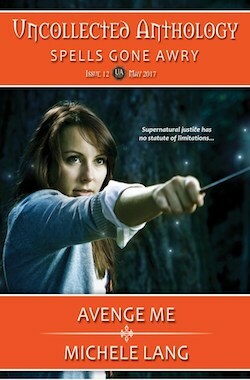 A supernatural mystery in a spooky, otherworldly setting, Avenge Me will take you on a wild, emotional ride.